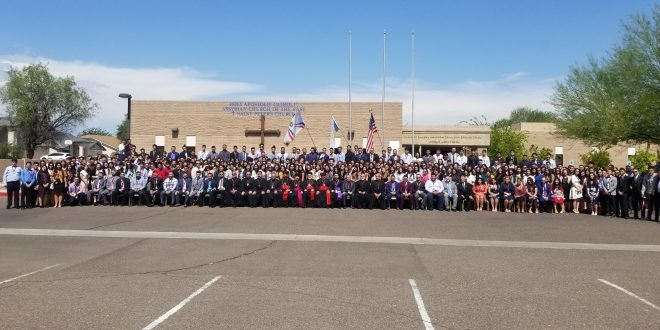 The 31st Annual National Youth Conference was held in the Diocese of the Western United States under the patronage of St. Peter’s Cathedral and Mar Yosip Parish from 4th-9th of July. The conference agenda included prayer services, lectures, and fellowship for over 350 youth members ranging from 14-30 years old from the various three dioceses in the United States of America. The theme of this conference was ‘Mission Possible: Our Christian Vocation’ according to Isaiah 6:8 which recalls the blessed prophet Isaiah hearing the voice of the Lord and responding, “Here I am. Send me!” The lectures at the conference explored various aspects of our Christian vocation; Rev. 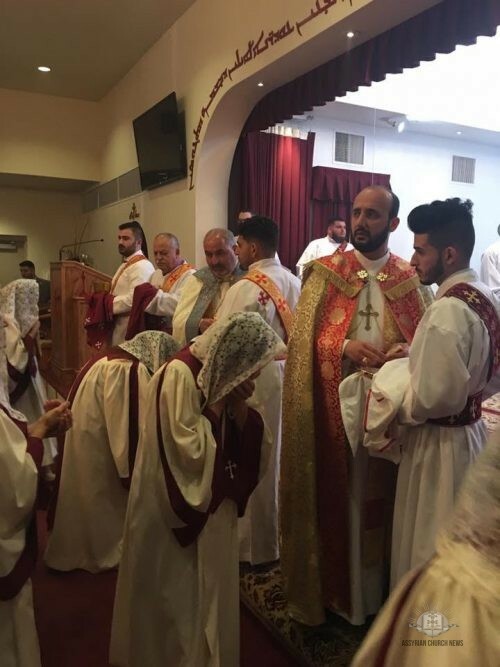 Cor-Bishop Gewargis Bet-Rasho of Los Angeles, California expanded on the family context, Rev. Fr. 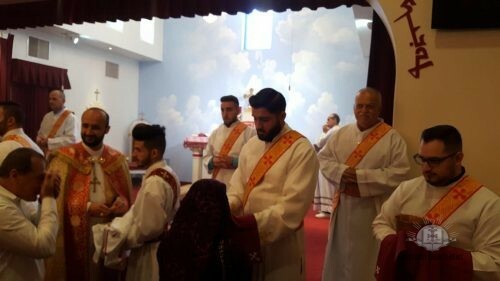 Gewargis Sulaiman of Chicago, Illinois focused on the religious aspect of a vocation, Rev. Fr. Genard Lazar of Modesto, California taught about our personal encounter with our vocation, and Rev. Deacon Allen Youssefi of San Jose, California presented a lecture on a career oriented vocation. This conference was blessed by the presence of our father prelates: His Grace Mar Aprim Khamis; Bishop of the Western United States, His Grace Mar Awa Royel; Bishop of California and the Secretary of the Holy Synod, His Grace Mar Paulus Benjamin; Bishop of the Eastern United States, and His Grace Mar Benyamin Elya; Bishop of Victoria and New Zealand. 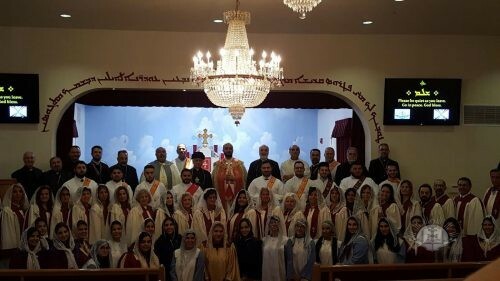 In addition many of our priests attended the conference from all over the United States including a special guest from the Diocese of Australia, New Zealand, and Lebanon, Rev. Cor-Bishop Narsai Youkhanis. 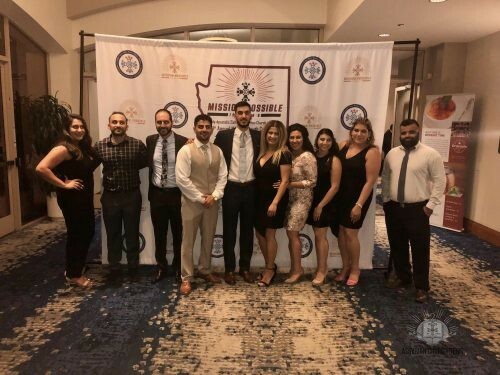 The National Executive Committee (NEC) of the Assyrian Church of the East Youth Association has decided that the next youth conference will take place in the Central Valley of California hosted by Mar Zaia Cathedral, Mar Addai Parish, and Mar Gewargis Parish in July of 2019.